O que é melhor: poupar muito ou gastar muito? Ou a pergunta está mal formulada? Confira aqui. 23-year-old Chen Yi-zhen reached her life-long goal of pure whiteness on Friday, according not only to news sources but also the national meteorological service, which spotted Chen on its satellite scan of the island late last night. Roughly 80% of women in Taipei have a similar goal, and spend billions each year in pursuit of whitening their skin in order to seem more attractive, but Chen is the first to actually achieve pure, unadulterated whiteness. Her co-workers were both dismayed and surprised to discover the beams of pure whiteness coming from her cubicle. “I just know she’s going to get that promotion now,” Zhuang Shu-fen, who sits across the hallway, told reporters. – E aí, educação é consumo ou investimento, meus alunos? – Correto. Mas por que? – A resposta pode ser muito mais simples. – HEHEHEH! 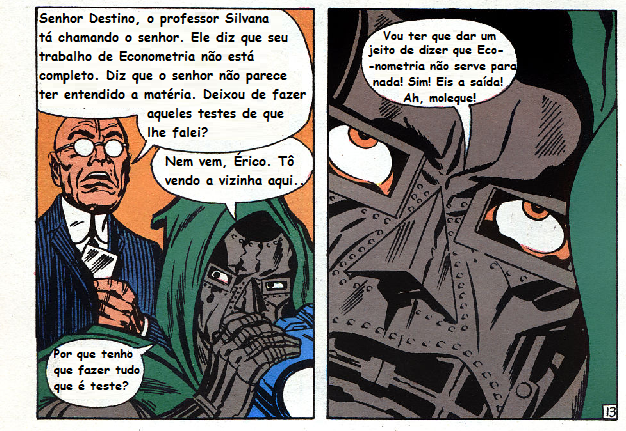 É verdade professor!